Looking for a business opportunity that allows you to be your own boss, with great hours? A mail, packaging and shipping franchise could be the right fit for you. These flexible choices can be found within malls, in stand-alone stores and commercial spaces, where they offer mailing, packaging and assistance with documents, from faxing to copying. Helping people easily send information and items, quickly and efficiently, is a service that many consumers appreciate. Annual growth of 5-7% is expected in parcel shipping volume globally through 2018. U.S. businesses spent $85 billion on parcel shipping in 2015. Parcel shipping is forecast to experience a 20% industry growth by 2018. 40% of U.S. parcel market is office shipping, as part of a businesses’ daily work flow. A mail, packaging and shipping franchise can offer a range of business services. In addition to the packaging and mailing they are known for, these franchises also can provide faxing, copying and printing services, as well as postal boxes. Others may offer notary services or even help in creating business cards. Simply consider what are the business needs in your area and decide how you can best address those needs in your franchise. Why a Packaging & Shipping Franchise? If you are considering a mail, packaging and shipping franchise, it is important to have a desire to help consumers and small businesses in your area achieve their goals with personalized, friendly service. 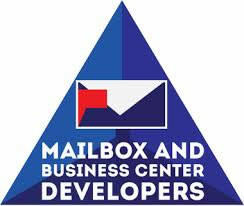 This is a great entrepreneurial outlet for someone who wants to offer cost-efficient options for any mailing, packaging or other document needs. A mail, packaging and shipping franchise offers a valuable service to other small business owners in particular, allowing you to help someone else realize their dream of owning their own business. A PROUD AUTHORIZED RESELLER FOR UPS – We provide business customers special UPS rates through the World Options online shipping portal. Build your client base, save them time, money & improve their shipping experience.